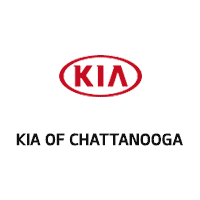 For high-quality replacement OEM or upgraded auto parts for your Kia near Chattanooga, East Ridge and Ooltewah, Tennessee, turn to the Parts Department at Kia of Chattanooga. Our Parts Department is a smart resource for do-it-yourself types near Chattanooga, TN. If you are a local Kia driver who is not so mechanically inclined, then you can find the parts for your Kia here, and have the Kia Certified service technicians at our Service Department install them for you. Our Parts Department carries a large inventory of popular Kia auto parts and accessories, so whether you drive a Kia Sorento, Sportage, Optima, Forte or another Kia model, we stock or can order your parts for you. Is your Kia in need of replacement brake pads, rotor or hoses? Or, maybe you are looking for a new replacement battery, new tires, oil filter or air filter for your Kia. No matter what parts you need, our Kia parts specialists are here to assist! We even have access to genuine Kia exterior and interior parts like trim pieces, lighting, floor mats and more. You can give our Kia parts specialists a call, stop by our location, or even order your parts online. To order authentic Kia parts online, submit a parts request form here on our website; a Parts Department staff member will then confirm, finalize and place your order. Do not forget to shop our current service and parts specials to save on our already low prices on Kia parts and accessories!